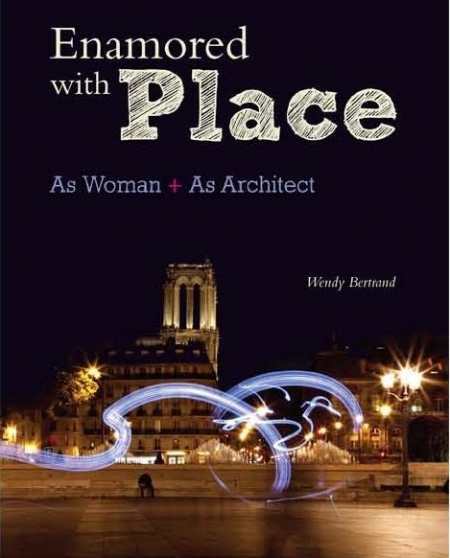 In this engaging personal account of her professional and personal life, Bertrand shares her experiences as an architect, as well as a world traveler, wife, and mother. Tracing her life in detail, she provides a summary of her childhood in La Jolla, California, and then offers a year-by-year description of her adult life, beginning with her early college studies at the University of California, Santa Barbara in 1959. Unsure of the career path she wanted to take, she left college after a year to travel the world—including Europe, Africa, and India—before returning to her studies for another year. Soon after that she met a fellow from France and decided to travel with him across the US and to France. They married three years later and moved to China, where he was studying and teaching, and they had a child a year later. All the while, she still felt the pull of a career in architecture. Ultimately her decision to study in California created friction in her marriage. Undeterred, she embarked on her quest to become an architect, at a time when the profession was fundamentally male-dominated. She also became a single, working mother to her young daughter. This comprehensive recounting of her work life, romantic relationships, and the joys and challenges raising her daughter has a two-fold result: It welcomes the reader into every aspect of her unique life. Color photos scattered throughout the book, many of them personal family photos, further engage readers and take them along on her personal journey. However, because so many details are included, no single event stands out. If the book were limited to fewer events, the most significant and life-changing moments would be better highlighted. Bertrand’s experiences will be most relatable to women who faced similar struggles entering male-dominated professions in the 1970s at the height of the women’s movement. Her approach to architecture will also be of interest to peers, as she describes how she combined her interest in social issues with architectural principles to improve building design for users; issues she addressed included naval families, women in the workplace, and people using the Bay Area Rapid Transit system stations in the early 1970s. By the end of the book, readers will feel they know Bertrand well, and will likely marvel at her adventurous spirit, and her determination and resolve.